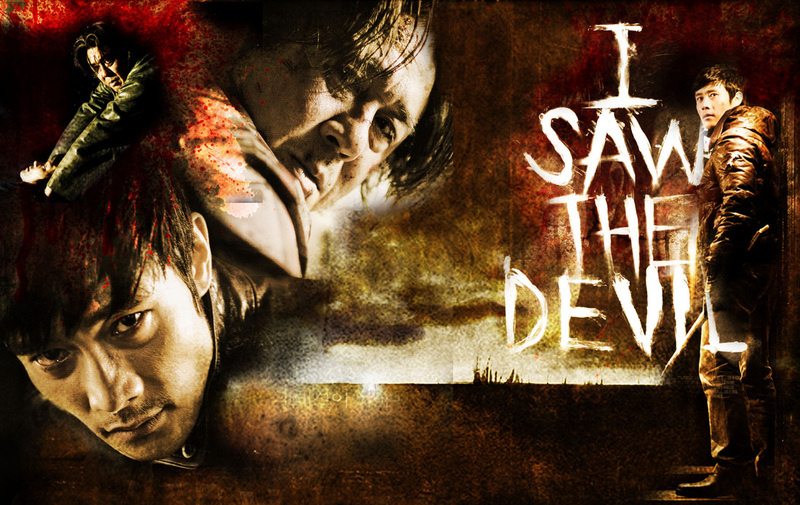 If you’re looking for great revenge movies…go straight to Korean cinema. We have a saying in the south, “Killing’s too good for him.” It’s usually reserved for child molesters or rapists or people who think vampires should sparkle. But the Korean film악마를 보았다 (aka I Saw the Devil) is a very complex horror/crime drama film that walks a thin line between revenge and punishment. You’d think questions of Justice would be included, but they are thrown right out the window. Try though we may to justify the protagonist Soo-hyeon’s situation, his choices make it literally impossible to sympathize with him. What transpires between these two men is not revenge…it’s vendetta! Awesome Korean actor Byung-hoon Lee (이병헌) has worked with the director several times. They teamed up for one of my all-time favorite gangster films A Bittersweet Life (달콤한 인생 2005). Actor Choi Min-Shik...nobody plays badass like him. 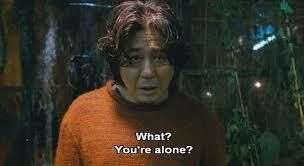 his is his response int he movie when he knows he's been caught by Soo-hyeon! Soo-hyeon is a police agent whose wife is murdered by Kyung-chul (played with his usual awesomeness by 최민식Choi Min-Shik). Soo-hyeon figures out who the killer is in like the first twenty minutes of the over two-hour film. So the audience is left thinking, “Okay, he’s busted…Now what?” And THAT is where this film swerves away from all expectations we have of Justice as Soo-hyeon wreaks havoc on Kyung-chul. At first we’re onboard because after all he killed Soo-hyeon’s pregnant wife. But without giving any more spoilers, suffice it to say, the trajectory of this film takes us into ethical areas that we are not comfortable with. Even the father of the slain girl asks Soo-hyeon to stop his crusade against Kyung-chul at one point. Her sister tells him, “Whatever you do to punish him, things won’t change. Revenge is for movies.” But what we’re given is tantamount to the CIA torture report as a parade of despicable cohorts of Kyung-chul are rolled out to show he’s not the only crazy in this world. It’s interesting that one of them even remarks about police agent Soo-hyeon “He’s one of us. He enjoys the hunt. Hunt and release.” He even tells the killer, “You’ve created a monster.” And indeed it’s true. Handsome Monster Police agent Soo-hyeon played by Byung-hoon Lee. But saner voices also chime in with, “He can’t become a monster to fight a monster.” It’s that age old question regarding torture. But at stake here is not extracting information about a bomb to save others lives. It’s one cop’s sense of warped payback. He takes being a vigilante to the extreme. The ending, though, we see he is allowed an attempt to reclaim it, but at that point is it too late? The score has been settled, but at what cost? 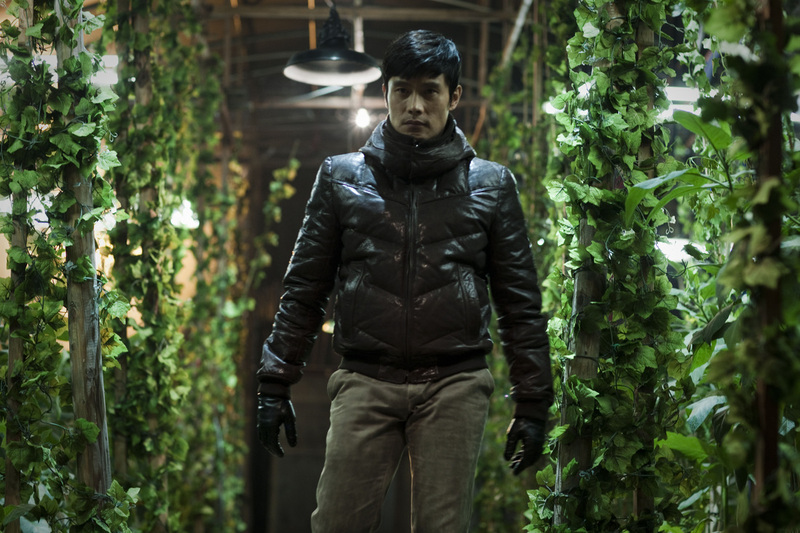 This is not director Kim Ji-woon’s first foray into horror. His A Tale of Two Sisters (장화, 홍련 2003) is a classic of the genre and a milestone in Korean cinema. His first independent film directing project was a delightfully twisted black comedy called The Quiet Family (조용한 가족 1998). This is a long, but very engaging film. It’s got tons of blood, so be warned. I’m an old pro at these horror flicks and there were two scenes in this film that made ME look away! You’ll know them when you see them…BELIEVE ME! Nice Italian word for when vengeance and revenge just aren't enough.